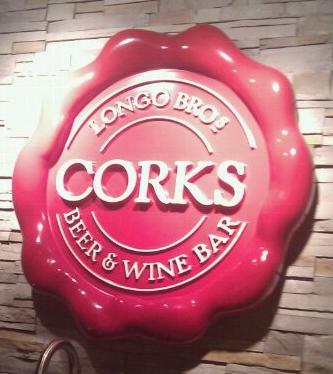 I first heard about Corks from the The Toronto Wine and Social Meetup Group. 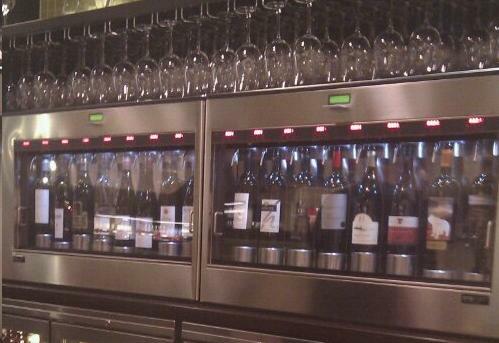 It is a restaraunt inside the Longo’s that serves a number of wines by the glass as well as micro brewery beers. A radical concept for Ontario given our anally retentive alcohol laws. After all, if alcohol was convenient we might all become alcoholics 🙂 I do digress. They have a unique gadget their I had to check out. The Enomatic is a system that keeps wine fresh longer by pressurizing the bottle with Nitrogen to keep it fresh and dispense by the glass. It is a neat system. They serve 3 ounce and larger to allow you to taste a few. They even have flights you can order. The staff are reasonably knowledgeable about wine. If your out and about for a game at the ACC be sure and check it out. I found it quite interesting. The food is average but it’s a neat idea. Support it so it doesn’t go away!